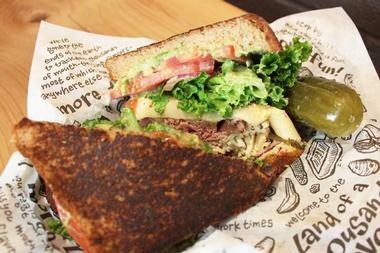 Ann Arbor is a great weekend destination for foodies, offering a diverse choice of eateries serving a range of flavors. Have a romantic dinner at a steakhouse, stop for lunch at a famous local deli, order fresh seafood, or have delicious pizza. Restaurants in Ann Arbor serve New American, Asian, Italian, Spanish, Mediterranean, Indian, German, Korean, Cuban and other dishes. Mani Osteria, meaning ‘hand-made’ in Italian, is a family-friendly Italian eatery that serves traditional tavern-style fare made with seasonal, locally sourced ingredients in a casual, laid-back ambiance. 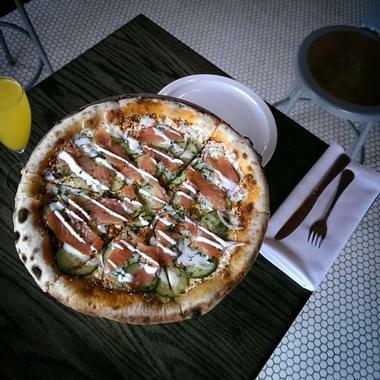 Located in downtown Ann Arbor, the independently owned, family friendly restaurant specializes in wood-fired artisanal pizzas and other creative Italian dishes, including antipasti, handmade pasta, zuppe, and Insalata. Grand Piatti includes Whole Bronzino served with salsa verde and grilled lemon and Lamb Chops Scottaditto served with salt roasted sunchokes, mint, arugula and lemon. A full-service bar presents regional craft beers, old and new world wines and signature cocktails inspired by classic Italian and American spirits. 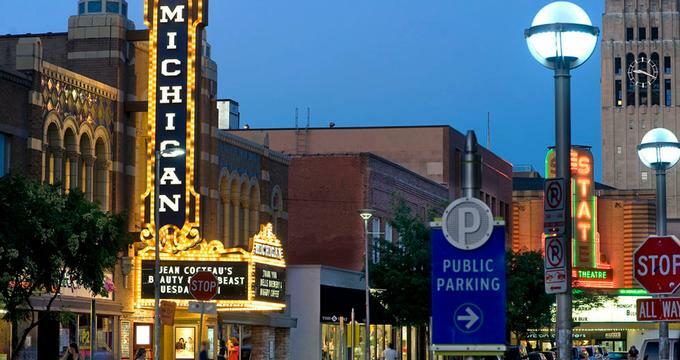 Next read: 23 Best Things to Do in Ann Arbor, Michigan. Zingerman’s Delicatessen is a traditional delicatessen that has been serving traditional freshly made food and selling organic, locally sourced products for over 30 years. Located in a historic building near the Ann Arbor Farmers’ Market, the deli offers signature foods and specials including homemade corned beef, noodle kugel, beef brisket and hand-shaped traditionally made Bakehouse Bagels and Magic Brownies. The deli also stocks and sells an array of artisanal products such as estate-bottled Tuscan olive oil, varietal vinegar and produce from local artisans such as freshly baked bread and pastries, fresh cheeses and charcuterie, old fashioned candy bars and home roasted coffee. Located on South Main Street in downtown Ann Arbor, The Chop House is an American prime steakhouse that radiates a fresh and sophisticated, yet comfortable vibe. Established in 1998, The Chop House combines an elegant ambiance, exceptional service, and outstanding cuisine to create an exclusive dining experience that impresses even the most discriminating diners. 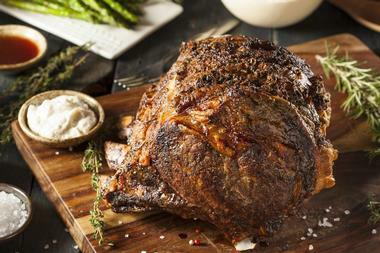 Ornate gas lamps and exquisite artworks add a glamorous touch while the menu features the finest USDA 28-day wet-aged prime beef, fresh top-catch and premium seafood selections, and premier chicken, lamb, pork and veal chops. Boasting innovative digital menu tablets that present diners with rich menu descriptions, food, and wine pairing information and wine scores and tasting notes, The Chop House also offers after-dinner delights in the form of La Dolce Vita’s dessert and cigar lounge. Here you can relax over handcrafted cigars, signature martinis, top-shelf liquors, after-dinner drinks and sinfully rich house made desserts. Logan is a contemporary restaurant in the heart of Ann Arbor that is a culmination of three friends’ dream. 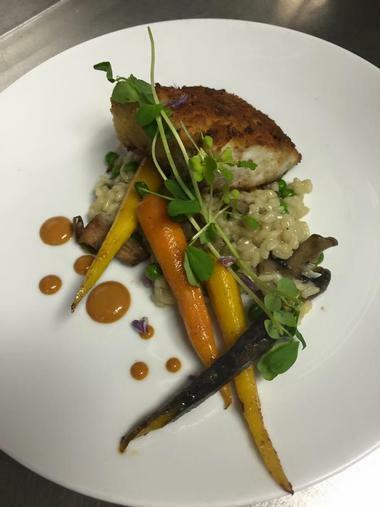 Based on Executive Chef Thad Gillies' interpretation of "New American" cuisine and named after his son, Logan has been voted as one of the city’s best restaurants. A passionately prepared menu features country-style duck confit paté paired with sweet onion marmalade and tangy Dijon mustard, herbed goat’s cheese ravioli smothered in truffle white wine cream sauce, Woodford Reserve Bourbon marinated pork tenderloin served with creamy potato pavé and pork reduction. An excellent selection of boutique wine and spirits accompanies each meal and warm service is provided by friendly staff. Aventura brings Spanish flavor and flair to the streets of Ann Arbor with a unique tapas-style dining experience. Located in one of the town’s oldest downtown buildings, Aventura features original stonework, rustic brick arches and a sleek interior dining space with diamond-white bar top. This modern Spanish tapas bar offers an array of fusion tapas that have been designed to share with friends, from bite-sized croquets to a suckling pig for the table to quesos, charcuterie, surtidos, pintxos, sopas, cocos, and paellas. Dishes are paired with a range of over 30 Spanish wines, exotic cocktails, and housemade gin and tonics from the lively full-service bar. Mezzevino is a Mediterranean-style restaurant that serves imaginative cuisine, wine, and cocktails from the regions of the Mediterranean. 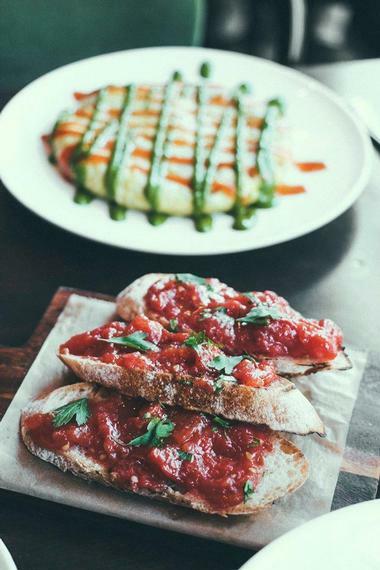 Featuring a menu inspired and influenced by cuisine from France, Spain, Italy, Greece and Morocco, Mezzevino serves an array of shared plates and mezze that are rich in colors, flavors, and aromas. Expect delicious plates of smoked, cured and dried charcuterie, fresh seafood, and fish, simply prepared fresh vegetables and housemade flatbreads, pitas and dips. Diners can enjoy regional Mediterranean shared plate combinations, soups, salads, pasta, entrées and mouthwatering desserts. Mezzevino offers weekly specials such as Mezze Monday, Sunday Dinner for Two and Festa Dia for parties of five or more diners. 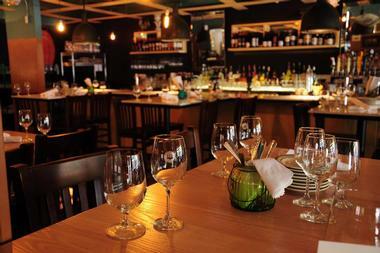 Gratzi is an elegant Italian restaurant with distinctive style in downtown Ann Arbor. Located on Main Street in what was formerly the Orpheum Theater, Gratzi upholds the building’s historic flair in its beautiful décor and ambiance. A monumental sculpture of Orpheus, the famous musician, and poet, and an exquisite Renaissance-style mural depicting an ancient bacchanal overlooks the softly-lit interior dining spaces of the restaurant. The menu features traditional Italian fare such as antipasti, salads and zuppe, wood-fired pizza, pasta and risotto and classic meat, fish and chicken dishes. End on a sweet note with Dolce of tiramisu, cannelloni trio, and amaretto crème brulee, and pair dishes with a particular selection of fine wines from Italy and around the world. Knight’s Steakhouse is part of the Knight family group of eateries, which include Knight’s Steakhouse, Knight’s Market and Knight’s Steakhouse & Grill. Founded by Ray Knight in 1984, Knight’s Steakhouse is a traditional steakhouse serving steaks, prime rib, fresh seafood chicken, and burgers, as well as an assortment of salads, sandwiches, and pasta. Knight’s Steakhouse offers a variety of lunch and dinner specials each day, such as Pot Roast Wednesdays and Roasted Turkey Tuesdays. Diners can choose from an a la carte menu or set banquet menu for lunch and dinner, featuring a buffet of freshly prepared American cuisine. Cardamom brings East and West together in culinary style with traditional Indian cuisine rich in flavors, textures and aromas. 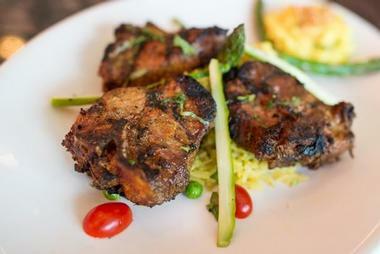 Owner Binod Dhakal has designed a menu to reflect the vast diversity of India with touches of Western influences, served in a friendly, inviting atmosphere. Expect starters of vegetable pakoras and samosas, papri chat and chicken tikka, followed by Tandoori entrées Chicken Kali Mirch, seekh kebab, achari paneer tikka, and cardamom plates of Bapu's goat chops, Bihari Kabab and grilled masala salmon. An array of delicious curries includes goat, lamb, chicken, seafood and vegetarian curries and sweet desserts such as carrot halwa, mango ice cream, and cardamom rice puddings are the perfect way to end your meal. Beverages range from coconut water, mango lassi and cardamom tea to ginger beer and fine loose teas. 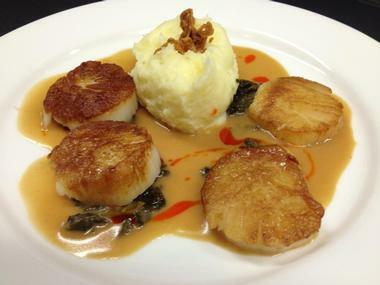 Pacific Rim is a casual, relaxed restaurant that serves pan-Asian cuisine that reflects Chef Duc’s Asian-American roots. 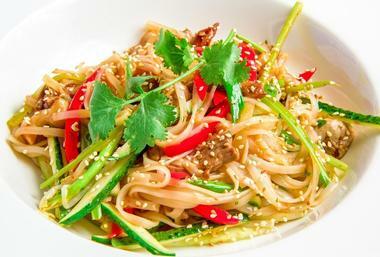 Ethnically Chinese-Vietnamese, Chef Duc creates a menu of Asian and Western cuisine that boasts traditional ingredients and flavors brought together with modern cooking techniques. Drawing the best from both worlds, the menu features signature dishes including starters of spring rolls, Thai-style calamari and zucchini-scallion crepes, entrées of Miso-Teriyaki Salmon, Quinoa-Crusted Scallops, Japanese-Style Sablefish and Goat Cheese Pierogies. Desserts range from Chocolate Passionfruit Mousse and Orange Pannacotta to housemade ice creams and sorbets and beverages include a variety of loose teas, Ginger Tea, and Thai Iced Tea. Pacific Rim also serves a detailed list of handcrafted cocktails, spirits, wines, and sake. NeoPapalis is a family-friendly Italian restaurant that has been serving pioneered Neo-Neapolitan pizza for nearly 30 years. 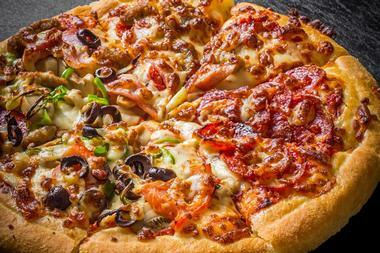 Blending century-old traditions of the paper-thin crust pizza from Naples with the expert dough and baking techniques used by the traditional brick-oven and coal fired pizza makers in New York, the “Neo” pizza is the signature dish of NeoPapalis. 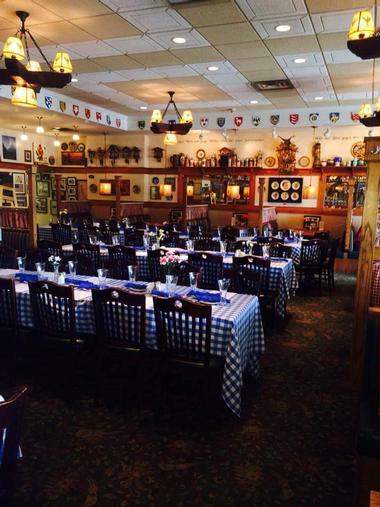 Metzger's is a family owned and operated restaurant that has been serving authentic German cuisine in a vibrant European atmosphere for more than 85 years. Owner John Metzger kept the family tradition alive when the restaurant relocated to its current locale on Zeeb Road in 2001, and the popular eatery now seats 189 diners and boasts a full-service bar and lovely outdoor Biergarten. 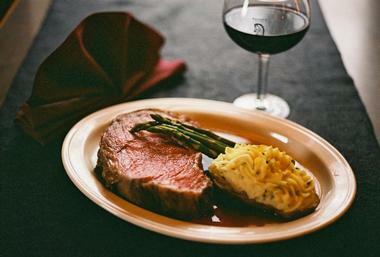 The menu features traditional German favorites such as German Sauerbraten (Metzger's house specialty since 1928) served with sour cream gravy, fresh sautéed veal Bavaria served with a light German wine sauce, and Jägerbraten – a slow roasted Angus Beef prime rib of beef topped with a housemade special Jäger sauce. The enticing beverages list presents an array of German beers by the bottle, German brandies, liqueurs and schnapps, house wines and signature cocktails. Located in downtown Ann Arbor, Tomukun is made up of two restaurants that serve Korean barbecue and noodle dishes respectively. Tomukun Korean barbecue specializes in Korean barbecue dishes, such as table-top grills, pure Korean soul food, including Neng Myun, Soon Dubu, and Sulung Tang and a variety of Asian draft beers, soju, makgulli, and cocktails. Tomukun Noodle Bar serves Asian comfort food in the form of an array of noodle dishes made from the freshest ingredients, ranging from pho and ramen to udon, dohnburi, and stir-fry. 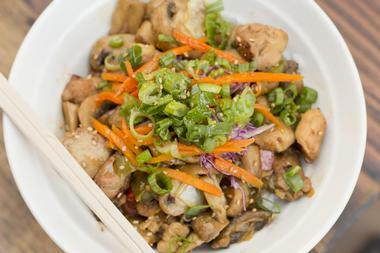 Enjoy a variety of beers, sake, wine and soju with meals from the full-service bar. 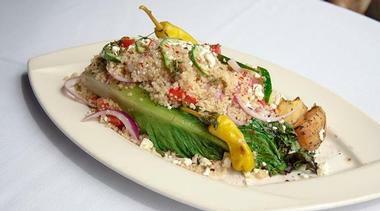 Inspired by the flavors of more than 14 Mediterranean countries, Mediterraneo is a vibrant restaurant in the heart of Ann Arbor that serves a menu of innovative cuisine inspired by the kitchens of Spain, Italy, Greece and North Africa. Owned by Greek native John Roumanis, Mediterraneo features a menu that presents a fusion of culinary flavors, ingredients and spices combined with modern cooking techniques in creative dishes such as braised octopus served with a cabernet sauvignon and olive oil sauce, involtini of veal stuffed with prosciutto, fresh sage and Asiago, Herbed Panko bread crumbs and Dijon encrusted lamb chops served with Ras al hanout roasted cauliflower, and mission fig jam. Mouthwatering desserts range from baklava and chocolate espresso to triple berry brownie and crème brulee while the impressive wine list features wines by the glass and bottle, as well as a range of specialty cocktails, single malt scotch and craft beers. 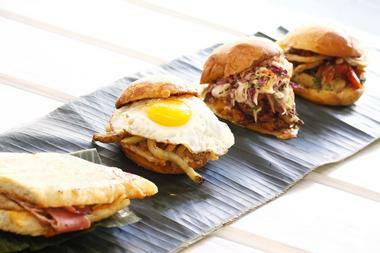 Cuban-inspired street food is the focus of Frita Batidos, a chef-driven restaurant on Washington Avenue in Ann Arbor. Inspired by two types of Cuban street food – the frita – a spicy chorizo burger in a soft egg bun served with shoestring fries and baditos – thick milkshakes made with fresh fruit, sweetened milk, crushed ice, and rum - Fritas Batidos serves a fantastic menu of burgers, shakes, and other Cuban favorites. Signature dishes include a black bean frita with chipotle mayo and cilantro-lime salsa, a chicken frita with lemon-scented mayo and avocado spread, and baditos of coconut cream, hibiscus, and fresh lime. An array of sides adds an extra bite, ranging from crisped plantains, shoestring fries, tropical slaw and black bean cream. The Real Seafood Company is the best place to go for fresh seafood caught from the waters of New England and the Gulf of Mexico. 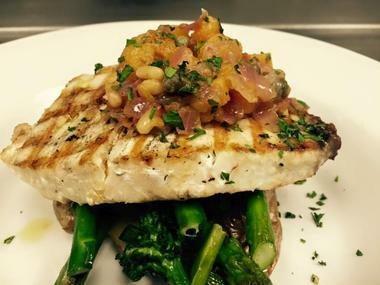 Featuring an inviting and comfortable dining space and a lovely outdoor patio, The Real Seafood Company is a contemporary restaurant on South Main Street that serves an array of freshly caught fish, shellfish and other seafood for lunch and dinner. In addition to seafood, diners can enjoy soups, salads, and sandwiches, and entrées of chicken, steak and pasta, accompanied by martinis, beer, and wine. Happy Hour occurs from Monday through Friday at the restaurant bar and offers small plates and appetizers of wraps, tacos, and oysters, along with drinks specials. You may also like: 19 Best Things to Do in Detroit, Michigan.